Last spring and summer, the experiment of opening up popular museums in Florence once a week to enjoy “Art with a Cocktail” in hand was hugely successful with over 10,000 visitors and is thus making a comeback this summer starting this coming week. From the terrace of the Uffizi Gallery overlooking Piazza della Signoria (starting June 6) to the medieval courtyard in the Bargello (starting August 6), visitors can enjoy a special after hours visit to the museum: with a limited amount of visitors and the enjoyment of drinks and snacks while viewing some of the most popular areas of each museum. For those wishing to enjoy an “Aperitivi ad Arte“, this summer a new museum will be added to the list: the Accademia Gallery with its famous “David“. Here are the details so you can start planning a special evening out this summer. Accademia Gallery – every Wednesday starting June 5 from 7pm to 10pm (ending September 25). Access to the Gallery of the Prisoners where you can enjoy Michelangelo’s David and Prisoners. Cocktails will be in the nearby flower garden. Uffizi Gallery – every Thursday starting June 6 from 7pm to 10pm (up to September 26). 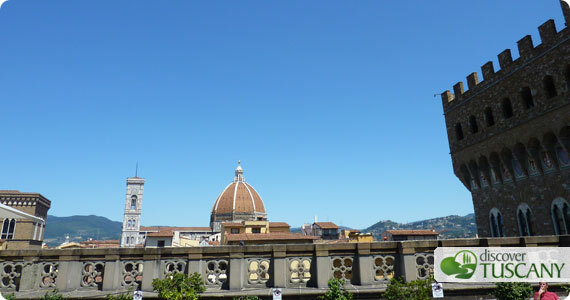 Cocktails in the terrace overlooking Piazza della Signoria and visits to the Red Rooms, the rooms dedicated to Italian 16th century artists such as Raphael, Bronzino, Rosso Fiorentino, Allori, Vasari, Andrea del Sarto, Pontormo. Bargello Museum – every Tuesday starting August 6 from 7pm to 10pm (until September 24). Cocktails in the museum courtyard while visiting the Michelangelo and Renaissance Room and the Donatello Room. The Compagnia delle Seggiole will perform several skits during these evenings retelling the story, secrets and more of the building, which in good and bad times has been a part of Florence’s history for over seven centuries. Cost for the evening is € 15; space is limited so reservations are a must by calling 055-294883. If you like the idea of spending an evening at the museum, the Galileo Museum will join in the initiative of “Aperitivo ad Arte” on one occasion, this Tuesday, June 4 from 8pm to midnight. The special opening will include drinks, a special performance with Galileo Galilei and Cristina di Lorena as the protagonists. The aperitivo is for charity with all proceeds and donations going to the Associazione Artemisia, the Women’s Center Against Violence, as a sign of solidarity and support after recent episodes of intimidation against the association. The opening will conclude the conference “Women, Science and Power” that will take place at the museum from 3pm to 6:30pm that same day, dedicated to women through the centuries that have influenced culture, science and the arts in their time. For more details and to book, call 055 2343723. You can participate in the evening with a visit to the museum with a minimum donation of € 5,50.